Natural Relief for Depression: Stress manifests itself in many ways, often in ways that we don’t even realise. When our bodies reach this level of stress, we release certain hormones that can have catastrophic effects on our bodies when left unmanaged. In this first workshop of the “Stress Relief Series” we will be exploring how stress impacts our emotions and can lead serious diseases such as anxiety and depression. Current estimates by the World Health Organization are that depression is the fourth leading cause of disability in the world. By 2020, it is expected to be in second place, after metabolic syndrome. 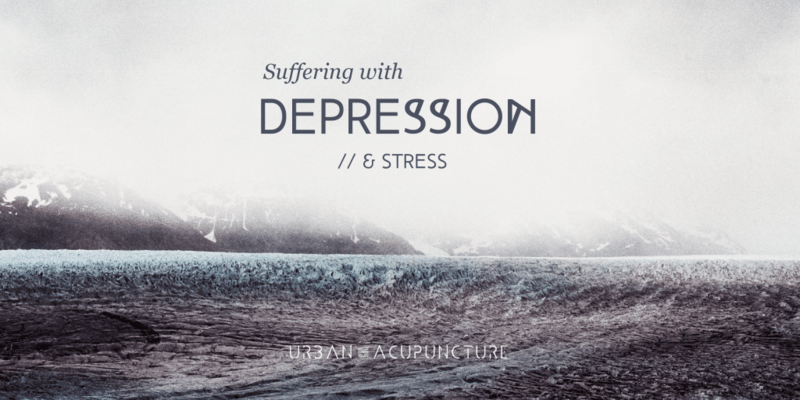 So you are not alone… Take control and find out about natural relief for depression. This time of year also brings it’s own set of challenges. A time of hibernation and isolation with limited explosure to our vital energy resource, the sun, we can end up feeling flat, lonely and directionless (i.e. Seasonal Affective Disorder). Let go of the darkness to reveal the light of life again with natural techniques to help you manage and/or eliminate these symptoms. This 90 minute, hands-on workshops will empower you to use safe and effective healing techniques to help those seeking relief from depression and stress. We will explore the nature and physiology of stress and depression from a western and Chinese medical perspective, followed by demonstrations and provision of practical resources to help you take control of your mental and physical self. Modern, Western perspective: What is wrong biologically in depression? Taking a look at how brainchemistry works. Auricular Acupuncture: Precise point location in the ear to instantly reduce stress levels and induce a deep sense of relaxation and wellbeing. Includes a 1 week supply of ear seeds and brief instructions to follow at home, for correct point location and effective stimulation. **Acupressure points are not intended to replace medical care, but they are an excellent self-help method to help reduce pain and stress and they can be complementary to medical therapies.